Alright. It’s time to talk food. Y’all know that I love to talk about food. I love to eat food and cook food and buy food. The whole process excites me. But what I don’t always love to do is create a recipe. I am a follower and I’m ok with that! So while I love to cook when I have the time and we try to eat family dinners together each night, I am getting low on meal-planning inspiration these days. 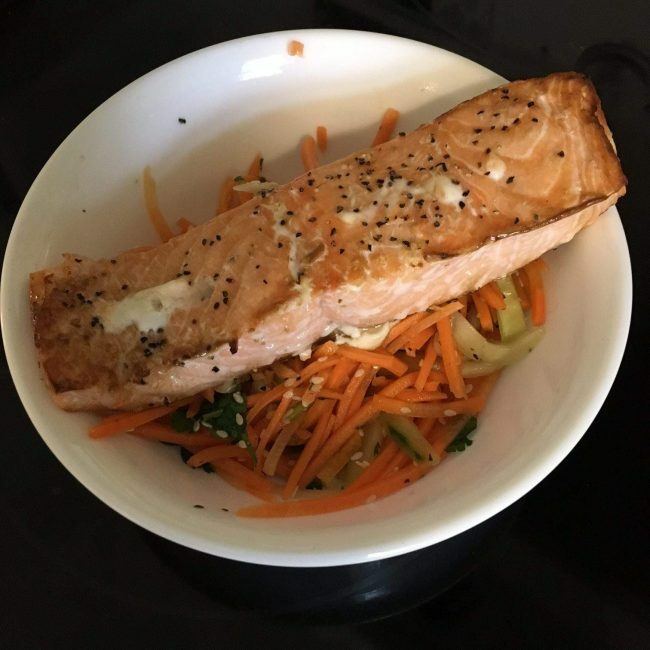 Even though I am home all day, dinner time is still hectic and some nights I would love the idea of fresh and nutritious hassle-free meals that I could make quickly instead of ordering a pizza. 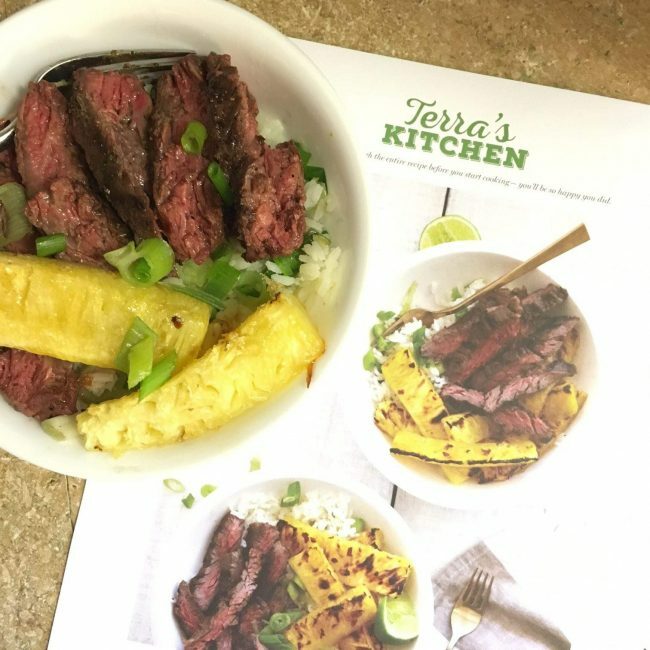 When I was asked to review Terra’s Kitchen meal-prep and delivery service, I decided to give them a chance and I am so glad I did! 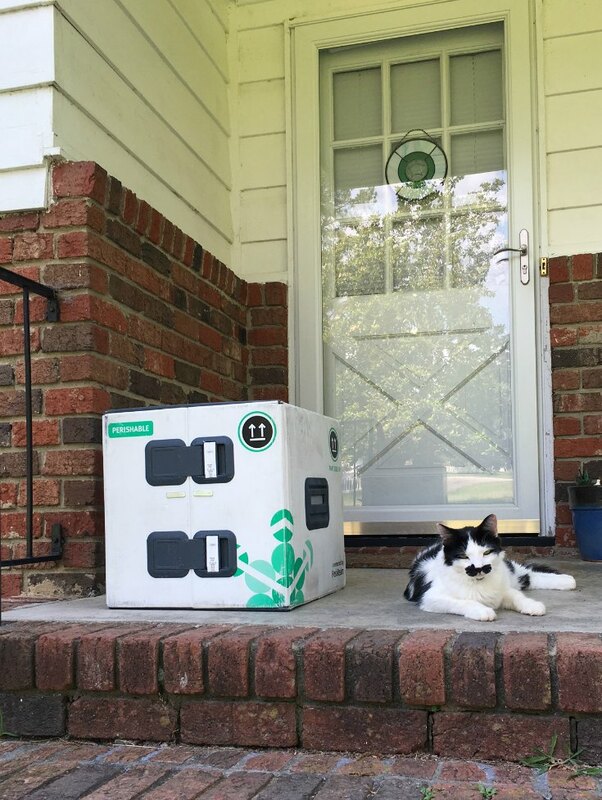 Our delivery arrived right on time and I was excited to check it out. Terra’s Kitchen refers to their packaging as a vessel which keeps ingredients perfectly climate-controlled and safe. These vessels are also picked up right off your doorstep the next day so they can be reused over and over again. Yay conservation! Inside the vessel, the food was contained in pre-proportioned packaging and labeled by meal. 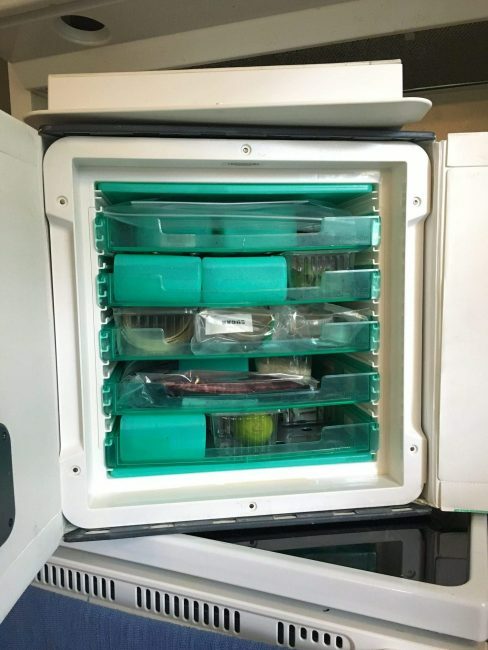 The shelves easily slide out and back in for easy unpacking. Our meals were clearly labeled and undisturbed during the shipping process. So far so good! I’m happy to report that the food was really good! We enjoyed each of the three meals sent to us by Terra’s Kitchen, though we definitely have a favorite. All of the ingredients were fresh and great quality and carefully packed and labeled. Each meal was easy to make and delicious. The only thing I might change are the portion sizes. My husband is a tall and hungry 6’6″ and our meals were right around 500 calories per serving. This was great for me but he would have loved seconds! Next time, I’ll be sure to make note of the calorie counts when I place my order. 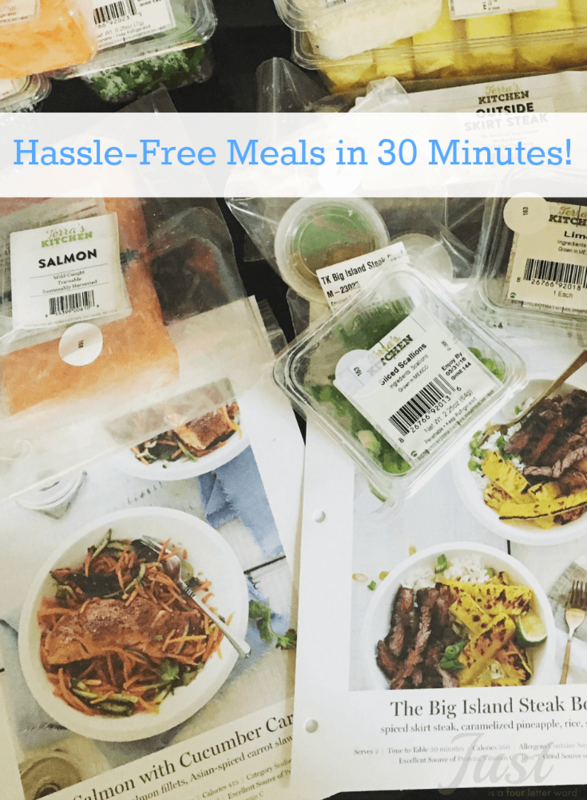 Hassle-Free Meals in 30 Minutes? I have to admit that I am generally skeptical of anyone’s claim to a 30-minute meal. It always seems to take longer than that for me to prep everything, cook it and put it together, especially with the kids underfoot. But I was blown away by how easy it was to follow the recipe and truly have an entire meal ready to eat in under 30 minutes! I’m seriously considering Terra’s Kitchen for healthy lunch options for myself since I am home all day. The meals we chose were Grilled Chicken Tacos with Avocado Goat Cheese Sauce, Roasted Salmon with Cucumber Carrot Slaw, and The Big Island Steak Bowl, which was far and away our favorite of the three. I’m going to dream about that meal! Overall, we really enjoyed our dinners and we tried something new. There are a few things I might change if we make them again like warming the tortillas instead of broiling (they got too crispy) and adding a side of rice to the Salmon meal. The Big Island Steak Bowl was perfect and there’s not a thing I would do except devour it over and over again. 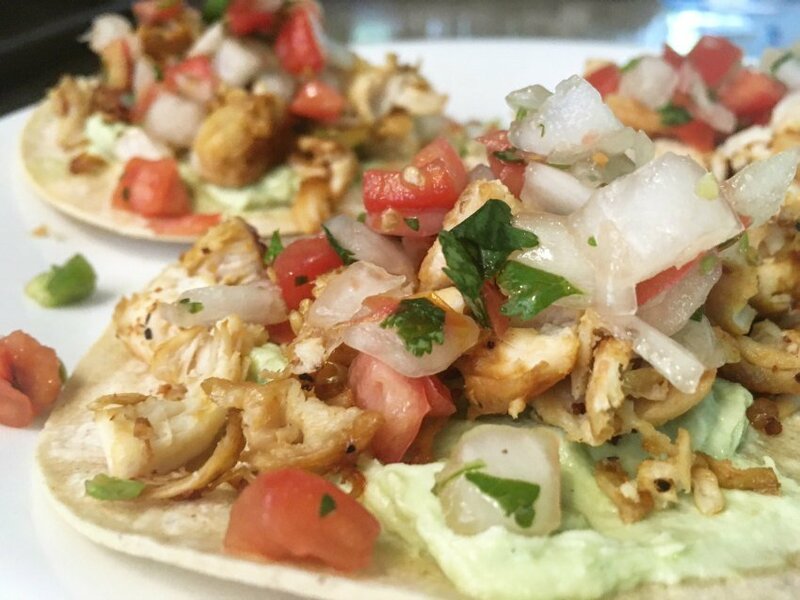 We loved the combination of flavors and we would have never thought to put them together in this way. If you want to check out Terra’s Kitchen for yourself, I have a coupon code just for you! Use the code FOUR50 when you place your first order and get $50 off! I’d love to know if you check them out and what you think. You can follow Terra’s Kitchen and learn more about this cool company on Facebook, Twitter , Instagram, and Pinterest.